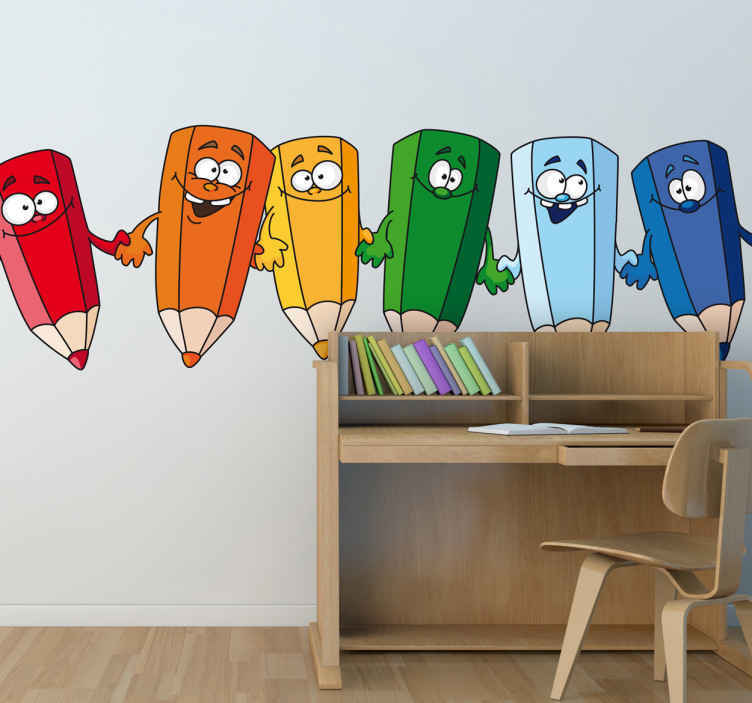 A fun children's wall sticker with various coloured pencils holding hands. Ideal for decorating the walls of an arts and crafts room. Decorate your walls with these animated and colourful pencils to transform plain and boring walls into something more bright and eye-catching! If your child loves to be crafty and creative then why not decorate their bedroom or playroom in a way that matches their interests. Choose the size that best suits the space you want to decorate. Easy to apply to any flat surface and remove without leaving any residue. Made from high quality and anti-bubble vinyl.